The FDA's crackdown threatens retailers selling vapes and Juuls to minors. The Food and Drug Administration’s crackdown on vape and e-cigarette companies attempted to prevent retailers from marketing their products to minors. The FDA is requesting documents from multiple companies in hopes of finding out why these products are so popular among teenagers. According to a statement from the FDA, the administration is collecting documents related to product marketing, health issues and details of whether certain product design features appeal to different age groups. FDA Commissioner Scott Gottlieb also announced that the FDA has begun sending warning letters to companies, threatening retailers that illegally sell their products to minors. In particular, Juul Labs Inc, the creator of the wildly popular Juul device, claims that although they are doing nothing wrong, they want to increase marketing restrictions to help prevent minors from gaining access to such products. The official Juul website claims that the company is “following strict guidelines to have material directed toward adult smokers and not to youth audiences,” yet somehow, minors are still accessing, buying and using Juuls. According to a March 7 article from market research site Trendsource, Juul “knows exactly how much they are making from underage smokers and it must hurt to threaten that cash stream,” meaning that if the company loses their target audience, their profits can suffer drastically. Increased use of the Juul has created new slang among its users, and as a result, “Juuling” has become its own verb. Its increased popularity among teens has led to heightened popularity in schools. The halls of West Essex are no stranger to such trends, as more and more students are being caught with Juuls and other vape pens in school. However, students believe that this crackdown will not have any impact on teenage usage of vapes. “I think some students are so addicted to Juuling that they will just find a new way to get around it,” junior Sadye Boshak said. “Kids don’t have to buy the Juul themselves, other people can buy it for them and they can’t get in trouble for it being in their possession,” junior Adem Kalici said. The West Essex Student Handbook states that vaping in school will lead to a two, three or four day suspension, depending on how many times a student has been disciplined. From there, students are faced with social probation and other consequences determined by the administration, which can include a phone call home, longer suspensions and a drug test. The administration is highly aware of this problem, and Student Assistance Counselor Anthony Emering said that he believes the Juul is detrimental to both a students’ health and educational performance. “We severely frown against anyone possessing or using vapes on school grounds and have a legal and moral obligation to act in a manner that supports the health and safety of our students,” Mr. Emering said. The West Essex faculty has taken the necessary precautions to ensure that students are abiding by these rules on school grounds, but once a student leaves school property, the issue is taken out of the schools’ hands and put into the hands of the retailers. 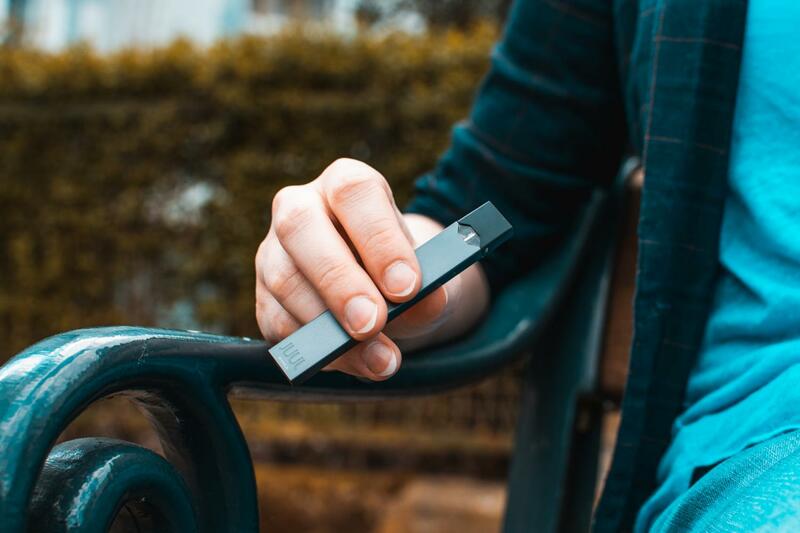 Even though the company denies it, the general sentiment among teenagers is that Juul Inc. markets their products to teenagers through flavor selections and targeted advertisements. Whether or not Juul is actually marketing to teens is only part of the problem. Once someone begins to use a vape device there is a particular set of ritualistic behaviors that begin to become reinforced. Pointing fingers at retailers will not stop teenagers from using these harmful products.